The side hustle economy is real—37 percent of the workforce has a side hustle (and more than half of the Create & Cultivate staff has one!). Having a side gig is exciting—you’re about to make more money, after all! But what you might not be prepared for is tax time. 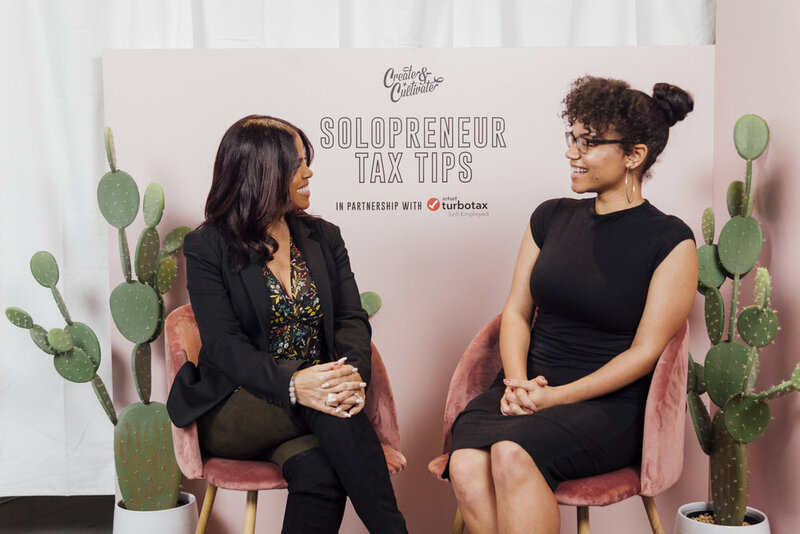 Above, our very own C&C employee Tyeal Howell—who moonlights as a podcast host at Bosshood—sits down with Lisa Greene-Lewis, TurboTax CPA, to learn how TurboTax Self-Employed can help side hustlers run their business more efficiently in preparation for April 15. Read on to learn a little more about Tyeal and see how you, too, can use TurboTax to file with confidence. Plus, we're gifting 30 readers with a FREE TurboTax Live Self-Employed product code (valued at $169.99) below—so you can file for free this season! Tell us a little about your podcast, Bosshood. What inspired you to start the pod? My best friend Ryan and I launched our podcast Bosshood to give young professionals and aspiring entrepreneurs access to people, resources, and information on accomplishing their career goals and working their way into the positions they aspire to be in. When we were graduating from college back in Ohio, we didn’t have the connections or resources we really needed to launch our careers in New York City and Los Angeles, so we created them ourselves and finessed the glow up. Bosshood is a fresh spin on adulting for millennials who obsess over professional development books, love coffee, and hangout at rooftop parties in cool cities. What’s your biggest challenge in having a side hustle? The biggest reward? The biggest challenge is definitely time management. After spending Monday through Friday 9-6 looking at my phone and my computer while sitting at my desk for my day job, the very last thing I want to do is more work. The biggest reward comes after that extra work is done for Bosshood and people text and DM us about how inspiring and encouraging it was for them to hear our stories. It’s even cooler when we travel and people come up to us like, “I loved your podcast interview with Johnathan Jackson on Bosshood! I was inspired and encouraged." Tyeal’s not alone—we’ve heard from our C&C community that time management is a common problem for many side hustlers. The great thing about TurboTax Self-Employed is that it uncovers industry-specific deductions personalized to your line of work, so come tax time you won’t be racking your brain to think them up yourself. Your purchase also comes with a free year of of QuickBooks, which makes expense tracking effortless—so you have more time to focus on actually building and growing your business. What advice would you give to would-be side hustlers who don’t know where to start in getting their business off the ground while working at a 9-to-5? I’d say dedicate one of your weekend days where you’re completely free of work obligations to just brainstorm. Sit at a cafe, write out all of your ideas, and just envision what you want those side hustle dreams to manifest into. Then find someone to hold you accountable for the next steps. Start by starting! And read WorkParty the book! I’m most excited to continue learning new things, failing at things, adjusting my strategies, and producing the content. Season 2 of Bosshood will be coming soon and you can subscribe now on iTunes or listen on Soundcloud! Boss up! 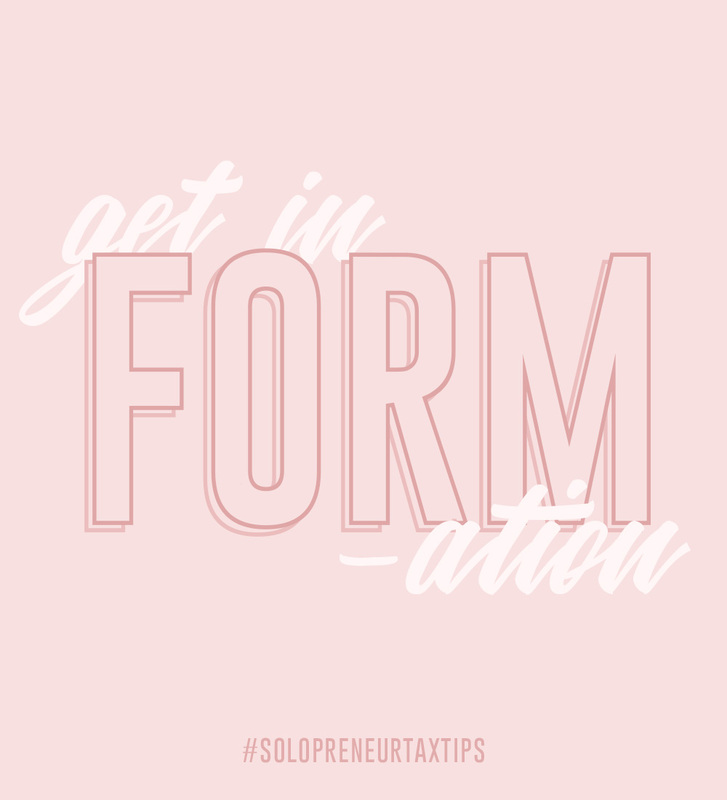 Want more tips for tax time? Check out our guides for full-time freelancers and C corp entrepreneurs! or Or you can dive into TurboTax Self-Employed here—and enter to win a free TurboTax Live Self-Employed code below! Our friends at TurboTax were nice enough to share a giveaway with Create & Cultivate readers so you can file your taxes for FREE this season! 30 readers will receive a FREE TurboTax Live Self-Employed product code (valued at $169.99). Simply fill out the form below to enter to win. The winner will be chosen randomly and contacted via email. Good luck! *By entering for a chance to win, you are opting-in for emails from C&C and our partners. You will always be given the option to unsubscribe. Thanks for entering to win a TurboTax Self-Employed product code. If you’ve won, we will reach out to you directly via email by February 22nd, 2019. This post is sponsored by TurboTax.